Prosperity: Where purpose and profit intersect. There’s a great divide that exists between the ‘for-profit’ (FP) and ‘not-for-profit’ (NFP) or charity world. FPs have been philosophically, systemically and legally set up to prioritise profit while NFPs have been set up to prioritise purpose over profit. Many FPs are focused on being the best and beating the competition: to have the highest stock-price, growth, market-share and profit. A company’s worth is defined by their financial worth and their position on the league table. On the other hand, the purpose of NFPs is to do good and solve world problems, most often enabled through donations from the FPs (and also government grants). While NFPs are mostly driven by a deep cause, they still experience the same challenges as their counterparts and the very same culture issues. Many NFPs are now becoming ‘social enterprises’ and behaving more like FPs in order to become financially self-sufficient. Even labelling organisations as ‘for-profit’, ‘not-for-profit’ or as a ‘social enterprise’ is, in my view, restrictive and creates unhelpful pre-conceptions around their ultimate reason for existence. I believe that every organisation has the capacity to do good and make money, to become a ‘profit-for-purpose’ organisation and evolve into a ‘prosperity-driven’ entity. There is no need to sacrifice profit in the name of purpose or to sacrifice purpose in the name of profit. It’s not an either/or scenario. It’s about bringing these two critical ingredients for success into total equilibrium. A prosperity-driven entity integrates the necessities of purpose, profit, people and the planet. It takes care of, and deeply engages, all stakeholders. It shares wealth equitably. It reinvests its profits back into the entity and its stakeholders. It shifts an organisation from a value extraction mind-set to a value regenerative mind-set. A prosperity-driven enterprise empowers everyone to take ownership, to make a contribution, to feel valued and have a sense of belonging. So how do you shift your company towards a prosperity-driven mind-set? 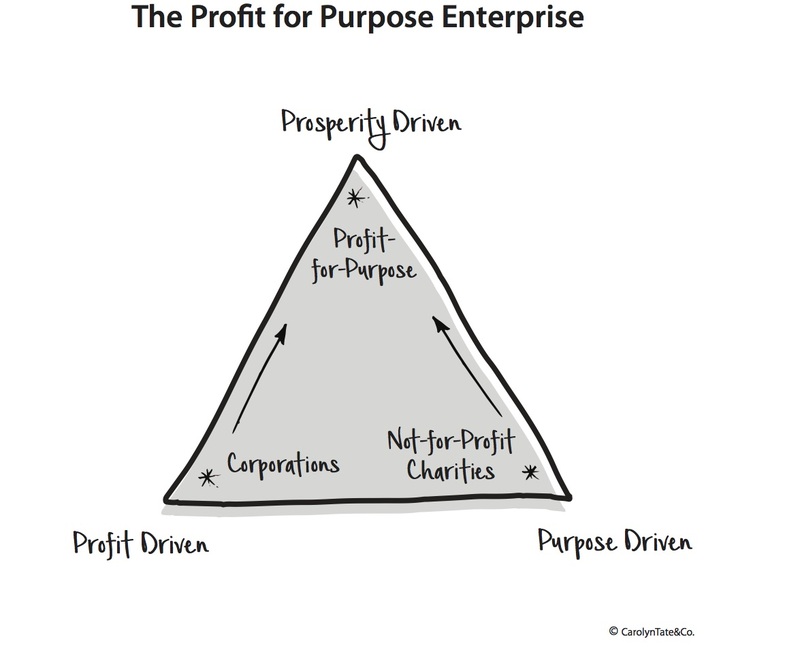 How do you deeply explore and bring to life, the intersection of purpose and profit? All change starts with just one courageous conversation.